He confirmed that Morón defeated Santamarino in the West, he was not overlooked through his passage through Alto Córdobo and won a victory (first away from home) to excite the end of the flight as close as possible to the Reduced position. 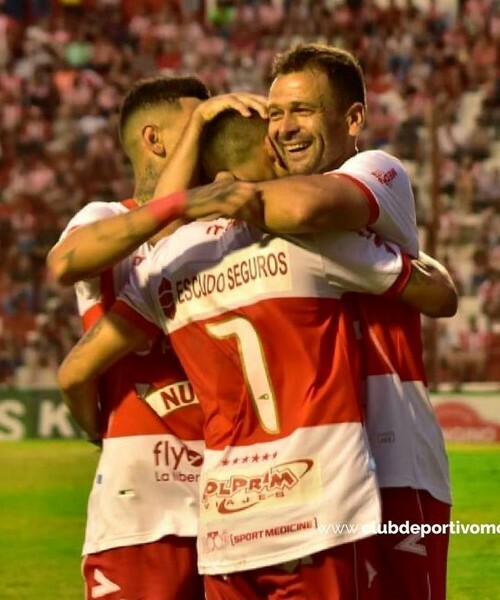 The Instituto, with the handbook of Dario Franco as a foundation, tried to break with an ambitious proposal and Mendoza as a handle. But at the age of ten, it was difficult to join Pablo Vegeta, one of the tournaments that had a wet gunpowder. And Gallito took advantage of the lack of performance: between Gonzalez, Akerman and Mendieta made the game by 1-0. INSTITUT (0): Henricot; Flores, Aguirre, Yabale, Canever; Mendoza, Navarro, Endrizzi; Affranchino, Vegeta and Ellacopulos. DT: Dario Franco. MORÓN (2): Galván; Paredes, Racca, Mayola, Martínez; Nizzo, Lillo, Pardo, González; Mendieta and Akerman. DT: Méndez-Pico. GOALS: PT 27m Mendieta (M). ST 5m Mendieta (M). THE COURT: The Institute. ARBITRATOR: Germán Bermúdez.